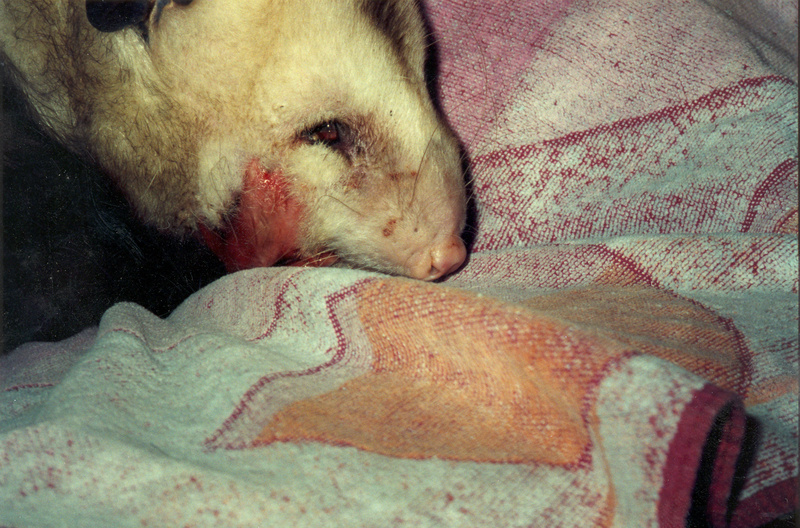 Note: Opossums heal remarkably well from many injuries, including severe facial fractures. 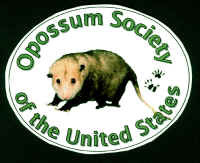 Please give the opossum the benefit of the doubt when deciding to treat or euthanize. 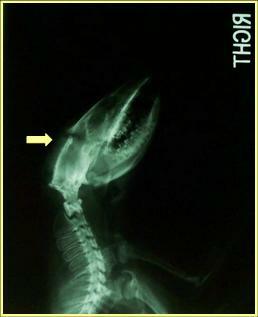 Fractured jaws can be wired or often left alone to heal. 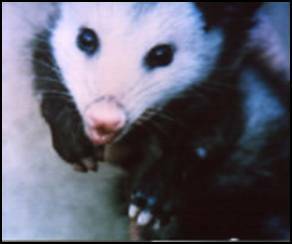 Tube feeding or gruel feeding are usually required. Pain medication and supportive care are also very important. 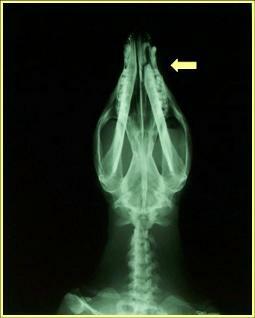 Figures 1-2.Radiographs of opossum with fractured jaw and skull (see arrows). Figure 3. 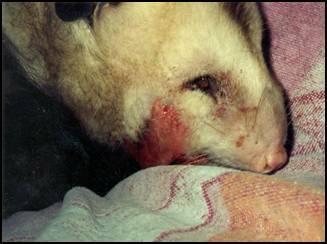 Opossum was hit by car, suffered head trauma, severe jaw fracture. 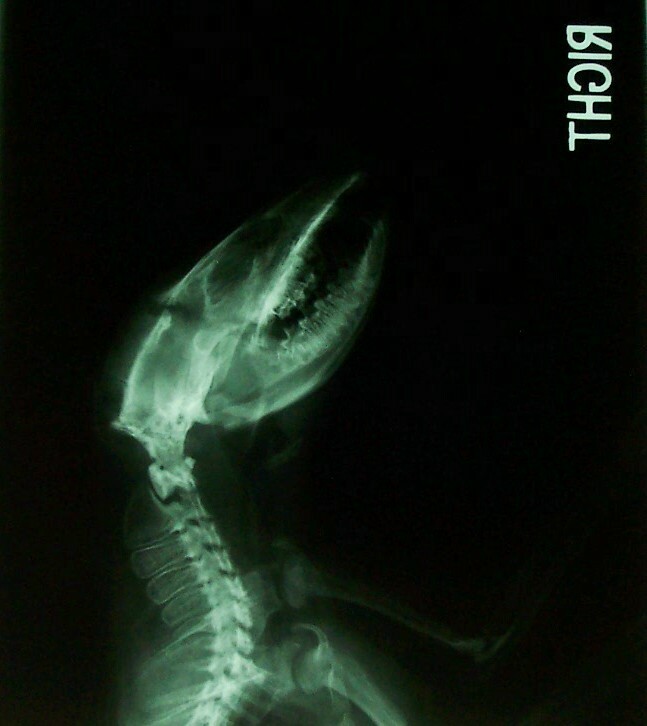 His jaw was wired. He healed and was released. Figure 4. “Ring-around-the-nose”. Classic sign of a trap injury. 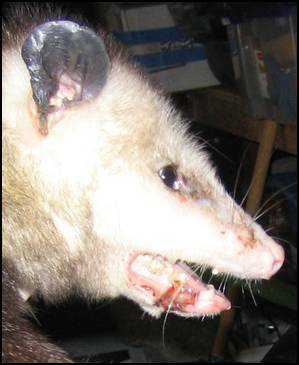 Often these opossums have fractured jaws and teeth. Figure 5. 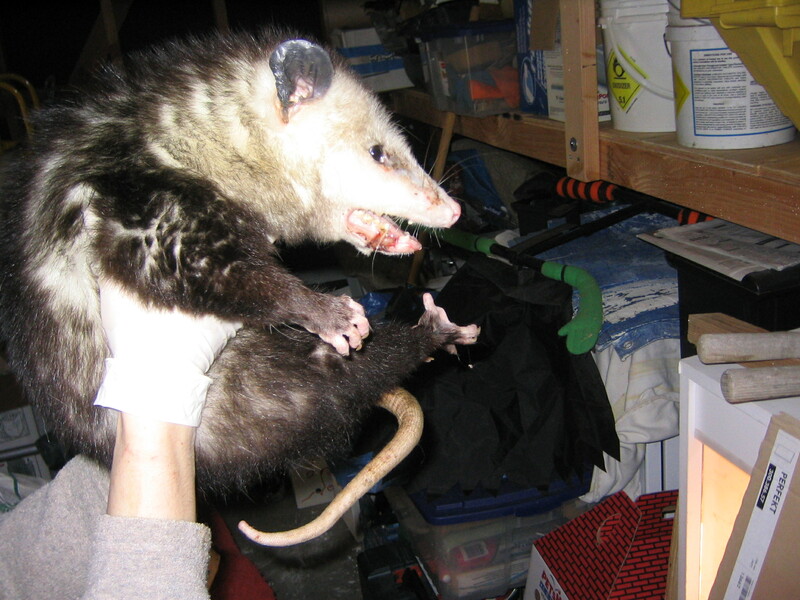 This opossum suffered a severe trap injury. 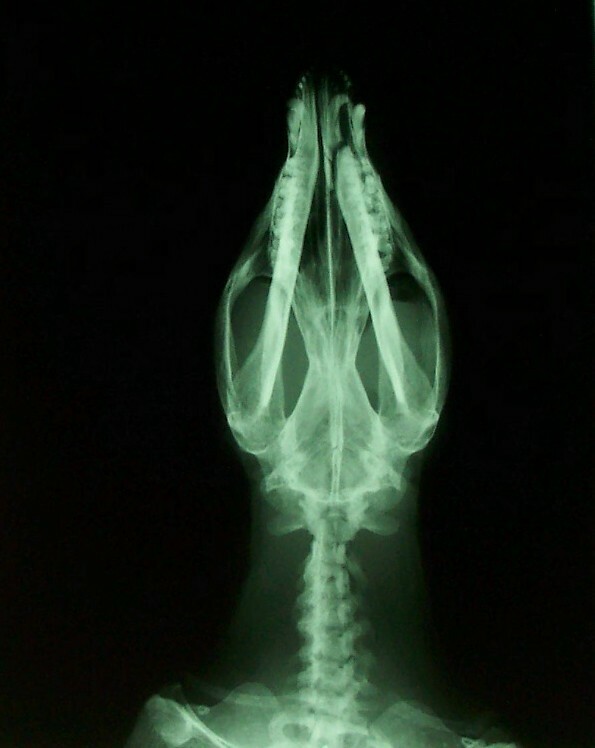 She had surgery twice to correct her fractured jaw.